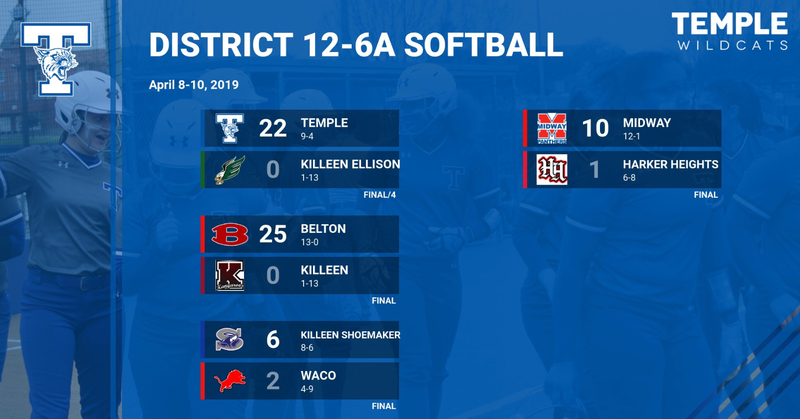 KILLEEN – The Temple softball team defeated Killeen Ellison on Wednesday night by a score of 22-0 in four innings. Temple wasted little time in taking control of the contest as the Tem-Cats scored 11 runs in the first inning. The scoring started with back to back RBI singles from Bryanna Salas and Makenna Holland to give the Cats a 2-0 lead. A pair of 2 RBI doubles from Hayli Hesse and Tayler Guerra extended the Temple lead to 6-0. 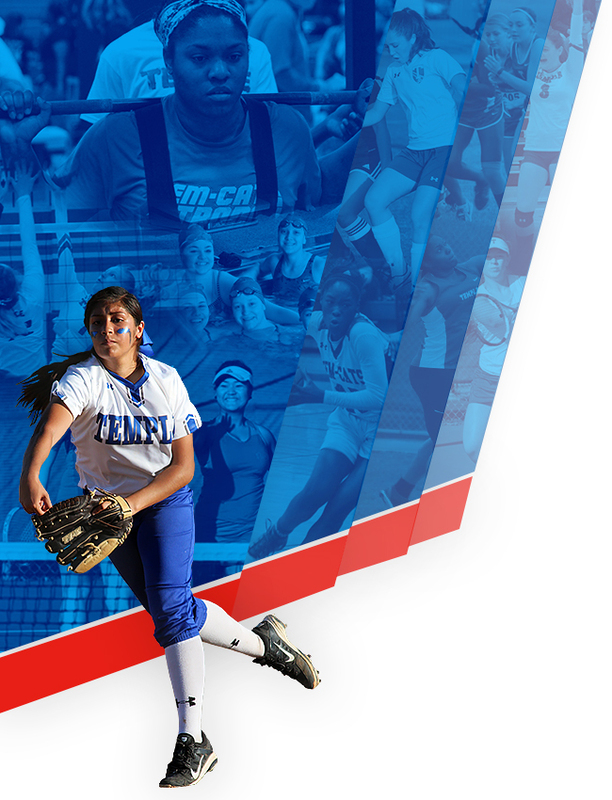 Alena Salazar scored the lone Tem-Cat run in the second inning as she scored on a passed ball to make it 12-0, Temple. Temple would score four more in the third inning. Guerra and Hesse each with RBI singles to start the run scoring while a Chloe Prentiss’ ground out and Alena Salazar’s bases loaded walk pushed the Temple lead to 16-0 after three innings of play. The offensive onslaught would continue into the fourth inning as the Tem-Cats plated 6 more runs. Hayli Hesse drove in two more runs with her second 2 RBI single of the night. 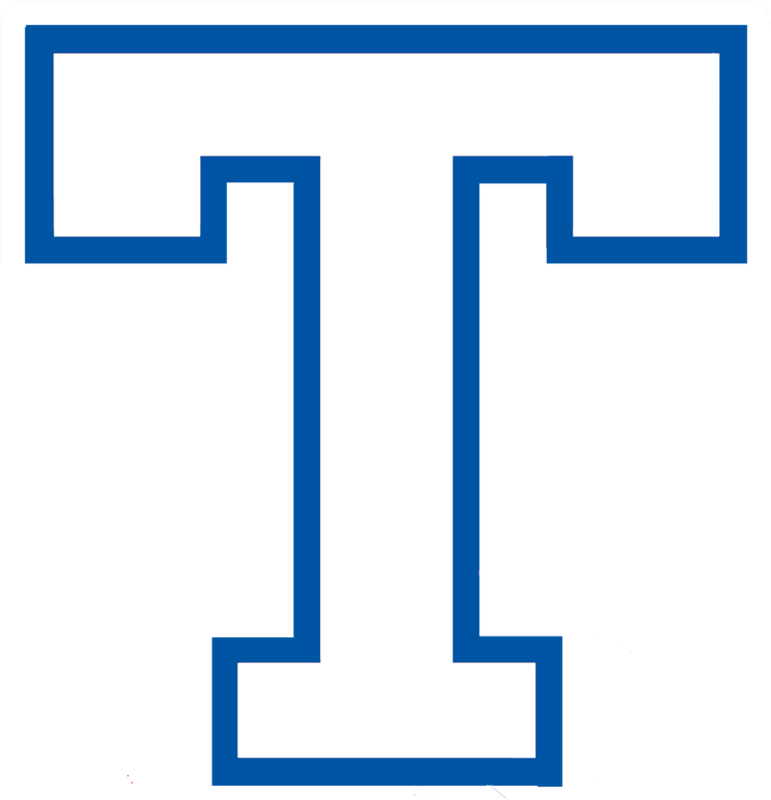 Bryanna Salas and Makenna Holland each drew bases loaded walks to extend the Tem-Cats lead to 20-0. And then, Lydia Tanton’s hit by pitch forced home another run and Alena Salazar’s RBI single capped the scoring for Temple at 22-0. 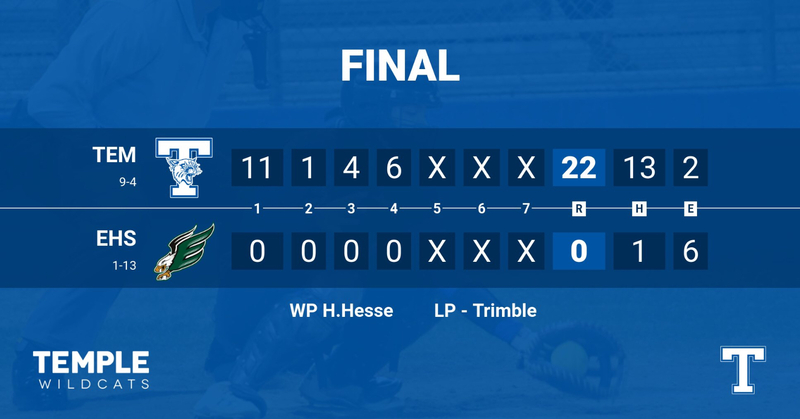 Hayli Hesse picked up the win for Temple by pitching four innings of one hit ball while striking out 3 batters. Ellison’s lone hit was a leadoff double in the fourth which was erased as she was thrown out trying to go to third. Temple picked up 13 hits on the night with Hayli Hesses and Bryanna Salas each collecting three hits apiece. Hesse went 3-4 with 5 RBI and 3 runs scored while Salas went 3-4 with 3 RBI and 2 runs scored. Tayler Guerra also collected multiple hits going 2-3 with 2 RBI and 2 runs scored. 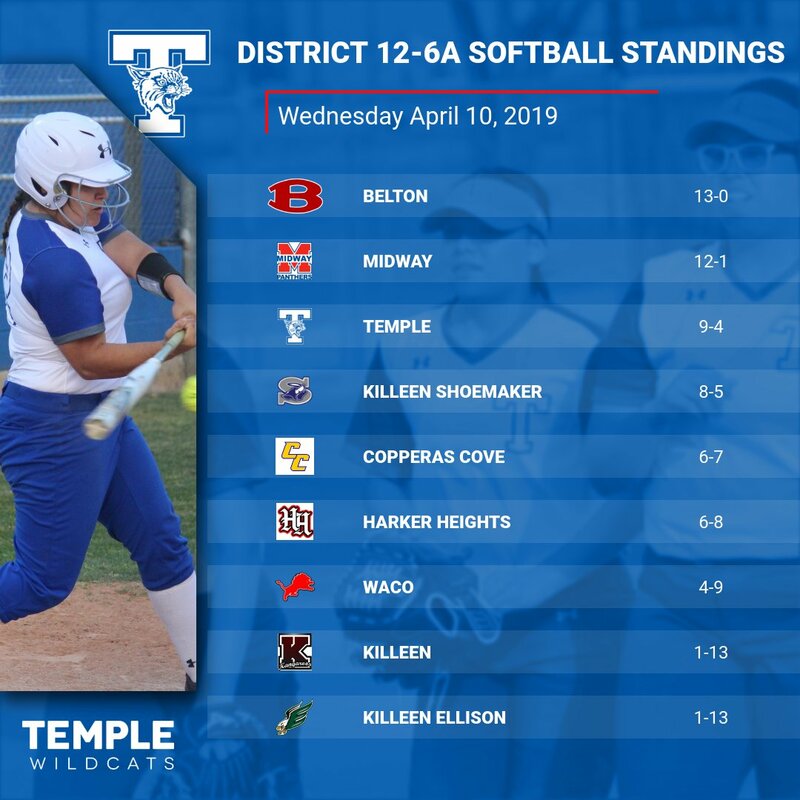 Also picking up hits for Temple were Alena Salazar, Makenna Holland, Ashley Alcozer, Analisia Salazar and Madison Wacker. 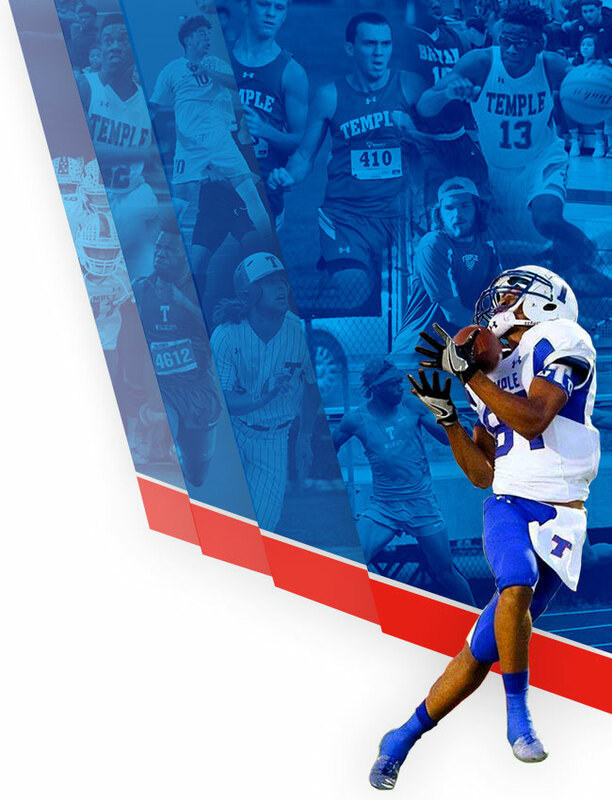 Temple improved to 9-4 in district play and will host Waco on Friday beginning at 7 pm.